My, oh my! We had quite the fight! 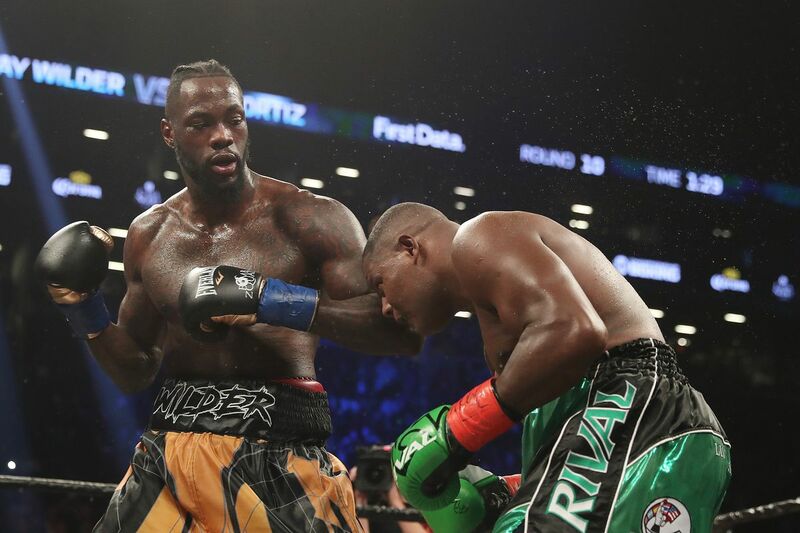 In the heavyweight main event between WBC titleholder Deontay Wilder vs. Luis Ortiz, the pace wasn’t always quick, but when the fighters started exchanging power punches as the rounds went on the fight started sizzling! There was a lot of back and forth action in this fight, with Ortiz generally outboxing Wilder for most the fight, but Wilder was able to use his fight equalizing power to drop Ortiz in round 5. But by round 7 Ortiz was storming back, badly hurting Wilder himself, although Wilder was able to survive that round without suffering a trip to the canvas. By the time the 10th round came around, both fighters were exchanging huge shots, but Wilder was the one who made it count by hurting Ortiz badly with a left and right hand that put Ortiz down again. Ortiz was able to beat the count but it was obvious he was in bad shape, and Wilder knew it, coming on with a barrage of punches that crumbled Ortiz again. At that point the referee immediately calling off the fight. The fight was officially stopped at 2:05 in the 10th round. It was a fun fight that the crowd ended up loving once it heated up. Both fighters showed big respect to one another following the hard-fought battle. In the post-fight interview Wilder said he wants Anthony Joshua right now, but he’s aware that their side isn’t in a rush to face him.